Ah, hello there, human! Welcome to the world! If you see anything you'd like to do, please feel free to give it a try. Oh, you want to push buttons? Go right ahead. Opening doors? Yeah, you can do that too, I guess. Throwing rocks through windows, bending bars with levers, crashing through walls with catapults? Um, maybe we should talk about someth--no, ok, you went ahead with it. That's all right, go forth and have fun. If you can control that bubbly human body of yours, that is! 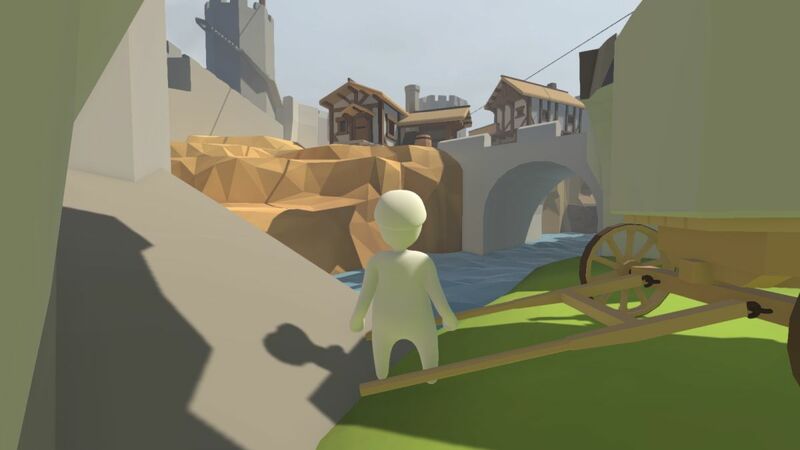 Human: Fall Flat is a physics sandbox meets puzzle game. Think of it like Octodad's distant cousin with emphasis on environmental puzzles instead of tentacled hijinks. You play an unnamed, nondescript (but fully paintable) character who is essentially a gooey ragdoll with glue on its hands. You can control this human's arms, moving them out, up, and even down. You can also jump, but not very far or very high. With such a limited move set, you have to get creative to get anything done in this game. Fortunately, Human: Fall Flat is all about rampant creativity. The game starts with some simple puzzles to get you in the right frame of mind. Each level is a small arena littered with obstacles you may or may not be able to manipulate. (Even if you can't, I guarantee you'll still try.) There's no such thing as a simple task. Pushing a button means you have to sidle up to the switch, raise the correct hand, adjust its position to match, then step forward to smack it. Soon you'll be gripping train carts and sliding them around, carrying sticks to hook onto ledges, swinging from lanterns, and even raising your arms in the air and jumping off cliffs. Because that's how humans climb things. 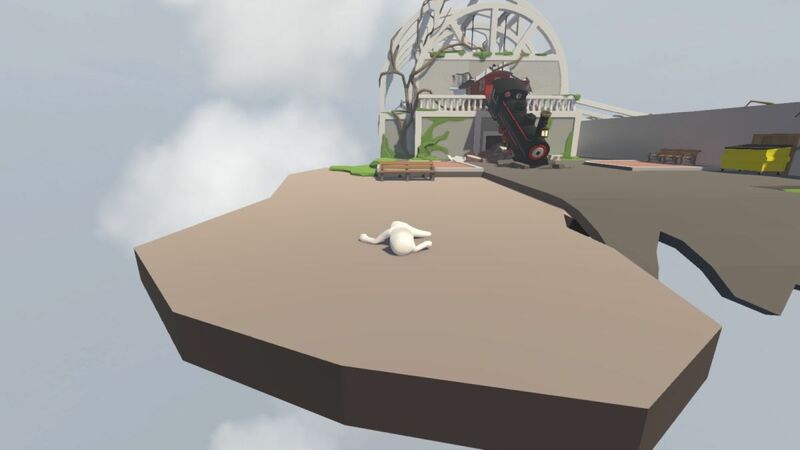 After a few stages of simple riddles, Human: Fall Flat throws everything it's got right in your face. The game does a phenomenal job sparking your curiosity with sights and scenes you can look at but not touch. There's always part of the level you can't quite reach, meaning you should do everything in your power to get there. Not only does this show the proper way forward, it also invites you to step out and play. If you die, you won't lose any progress. Go ahead, see if you can scale that castle wall. Won't hurt to try. Page created in 0.4869 seconds.